Rise Ball 360 is an exclusive membership addition that we are giving free to all players that come to a participating Rise Ball Camp (July Showcase, August High Honors, or November Premier)! Rise Ball 360 continues the Rise Ball mission with players, parents, and coaches throughout the year so the Rise Ball experience will continue even when camp ends. Rise Ball 360 member benefits will become active for 1 year from the date of participation in participating Rise Ball Camp. Instructional Videos Access and Skills Video Analysis available beginning after participation in participating Rise Ball Camp. 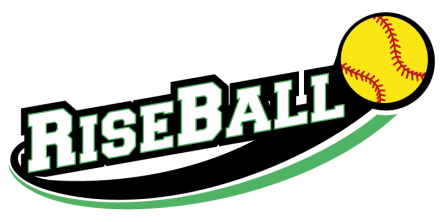 Instructional Video Access is available during membership year with campers personal access code used through the Rise Ball 360 Website (www.riseball360.com). Instructional video content provided by Rise Ball Coaching Staff. Skills Video Analysis participant will email you tube link of video to Hall of Fame Coach, Bill Edwards who will correspond via email with participant. Coach Edwards will provide 1 initial analysis, a second analysis within 30 days of the first and 1 additional analysis during membership year (max 3 per yr). 360 members will have access to pre-camp Seminar/Clinics available at July and August Camp which will take place prior to camp on Day 1. 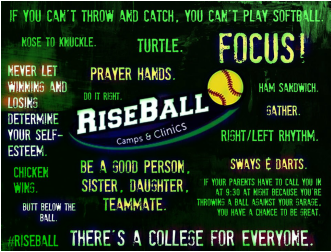 Once registered for participating Rise Ball camp, more information will be provided via email to participant! Rise Ball 360...Join the club!